The story of Tugg the bull terrier is amazing — and told in great detail on Tugg’s official web site. A rescue dog, he was found as a puppy next to a highway, wrapped in a blanket and riddled with disease. But with the help of an adoptive family of animal control officers, he not only survived but thrived, and has since become a symbol of rescue pets and their needs. 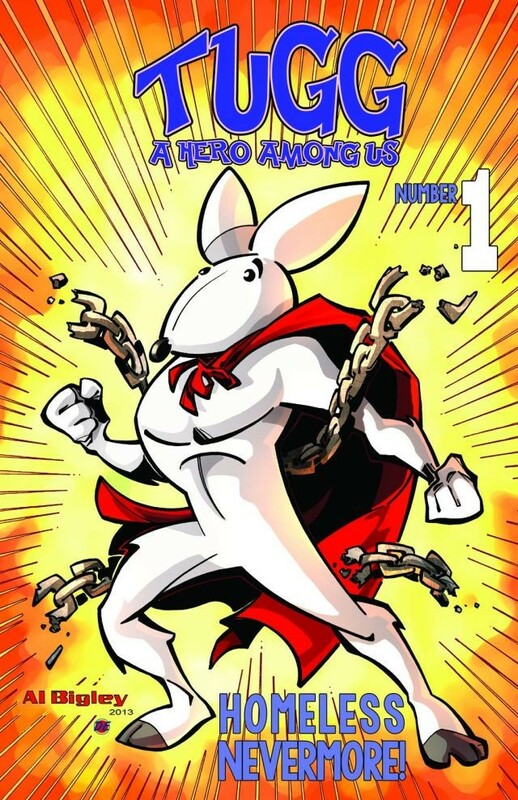 Enough that Kim and Blake Ovard have written and illustrated a new 4-issue comic book miniseries, Tugg the Bull Terrier (available now from Ape Entertainment). There’s even a YouTube video preview of the comic. 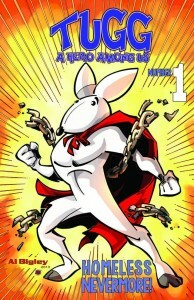 Many of the stories of Tugg the superhero are based at the real-life adventures of the persevering dog.